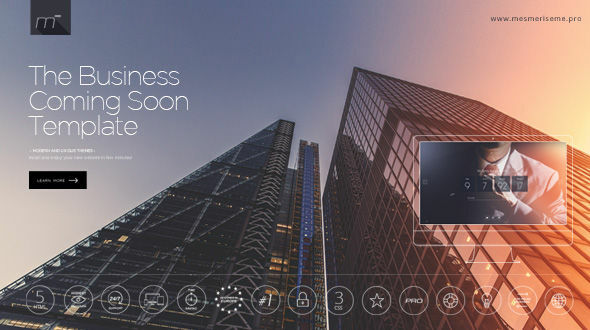 Welcome everyone to the Business – Responsive HTML5 Coming Soon 3D Template. Business is minimalistic and sophisticated, high quality under construction page. It works well in all major browsers and on any devices you have: smartphone, tablet or pc. People visit your website, gonna love this theme! Two simple PHP scripts, first is for saving email address to text file, second sends email with contact info.